Like all Roxor heroes the Deeproot Scout is a reference to a classic Nintendo video game character, in this case Link from Legend of Zelda. 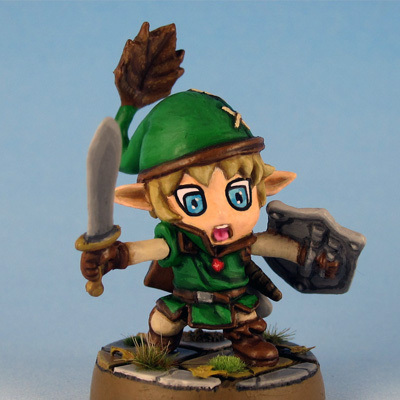 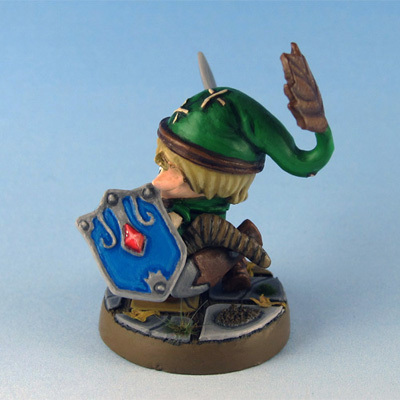 Though I’m not a particular fan of the character and have in fact never played any Zelda title I liked the reference and decided to paint up the Scout in classic Link colors. 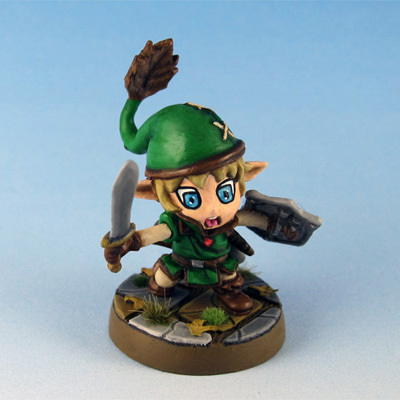 The threat of the Consul grows ever more dire as the Grim Heralds continue their implacable march into the heart of Crystalia. 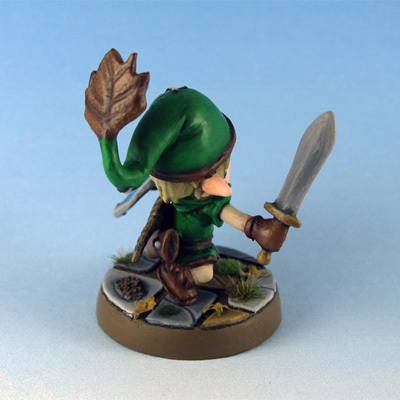 With the Nether Rifts encroaching into the Fae Wood, the Deeproot Tree has begun to send her sounts in search of allies who can help stem the tide of darkness.